In raiding a settlement for explosives to use in a diamond mine, four British villains disguised as natives practically destroy the encampment and kill some of the natives. Tarzan, discovering that the villains are led by his old enemy, Slade, pursues them upriver to their mine. 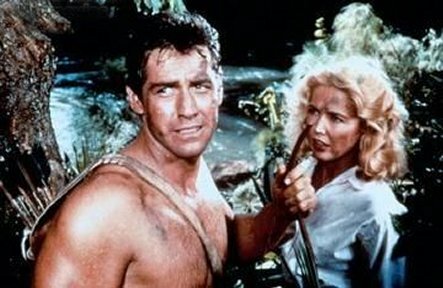 Joining Tarzan on his hunt is a beautiful American pilot, who has crash landed nearby. 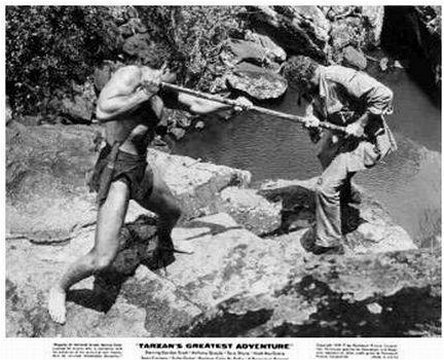 Tarzan’s Greatest Adventure was the 24th in the series of ‘Tarzan films that began with Tarzan the Ape Man (1932) starring Johnny Weissmuller. 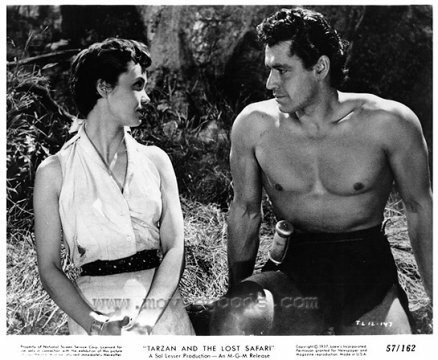 By the point of Tarzan’s Greatest Adventure, the Tarzan series was over three decades old and the title role has passed through two studios – MGM and then RKO Radio Pictures – and the loincloth has passed between three actors – Johnny Weissmuller and Lex Barker, before ending in the hands of Gordon Scott. 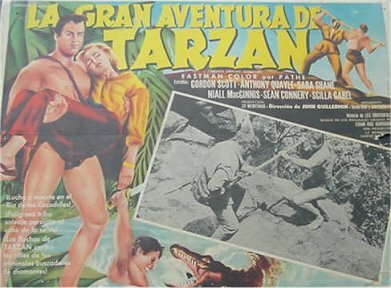 Most of the other Tarzan films had settled into a comfortable, easy formula – Tarzan swinging on a vine, speaking pidgin English; routine plots concerning evil white trappers/evil natives etc; and comic relief frolics with Cheetah. 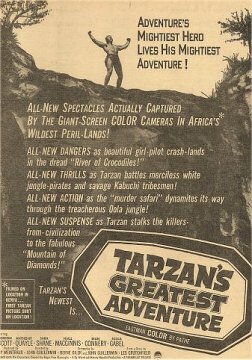 That all changed with the entry of producer Sy Weintraub into the series, which began with Tarzan’s Greatest Adventure. Sy Weintraub made a concerted effort to take the Tarzan film back to Edgar Rice Burroughs’ original conception – that of a primal hero who speaks perfect English and can operate with equal agility in both civilized society and the world of the jungle. Sy Weintraub would make six other Tarzan films – Tarzan the Magnificent (1960), Tarzan Goes to India (1962), Tarzan’s Three Challenges (1963), Tarzan and the Valley of Gold (1967), Tarzan and the Great River (1968) and Tarzan and the Jungle Boy (1968). 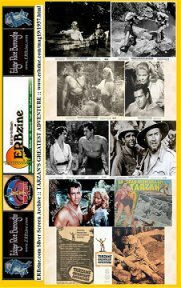 Many of these invariably rank among the best considered of the Tarzan films by fans. 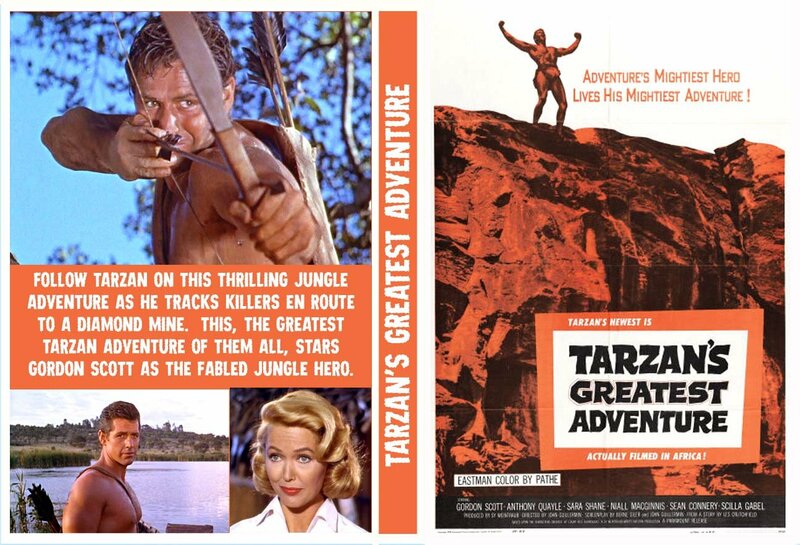 Tarzan’s Greatest Adventure is directed by John Guillermin, who would later go onto to also direct Tarzan Goes to India and became best known in the 1970s for The Towering Inferno (1974) and the infamous Dino de Laurentiis King Kong (1976) debacle and its sequel King Kong Lives (1986), as well one further venture back into jungle adventures with Sheena (1984). It is immediately apparent that care and attention has been placed into Tarzan’s Greatest Adventure. 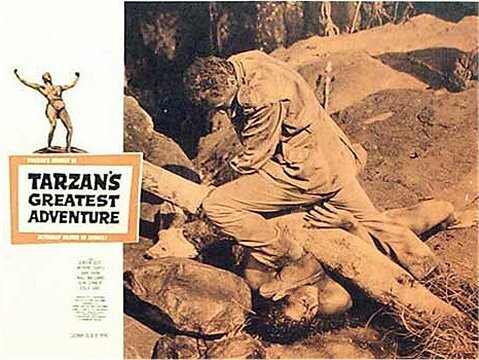 John Guillermin gives the film a gritty realism that had been lacking in the Tarzan series since at least 1934. There are some exciting action sequences – Tarzan hunting through the jungle, firing down on his pursuers with arrows, an incredibly tense scene where a tarantula crawls up Gordon Scott’s leg, Tarzan trapping Slade’s boat with fallen trees and then throwing dynamite to try and kill him, Sara Shane’s suspenseful venture into the villain’s boat to get medicine for Tarzan, and especially the fabulous climactic clifftop fight between Slade and Tarzan. 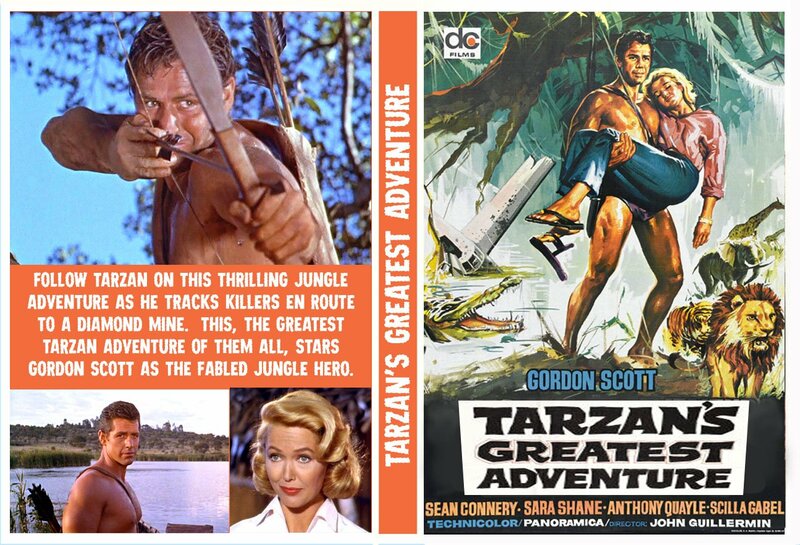 Gordon Scott’s Tarzan is given a toughness that you would never see in Johnny Weissmuller’s far cuter version of the role – at one point, he shoots a man at point blank range with an arrow. 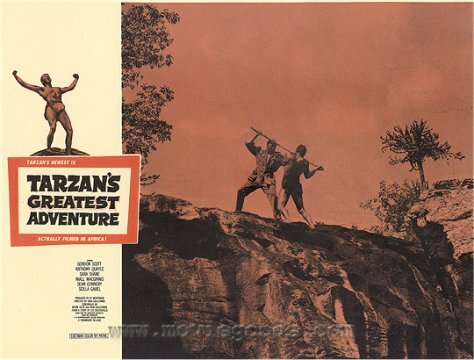 At the end of the film, we see Gordon Scott standing atop the cliff looking down as Sara Shane’s boat passes by on the river below – something that clearly emphasizes that Tarzan’s Greatest Adventure contains none of the warm fuzzy romantic fadeouts that the other Tarzan films do. 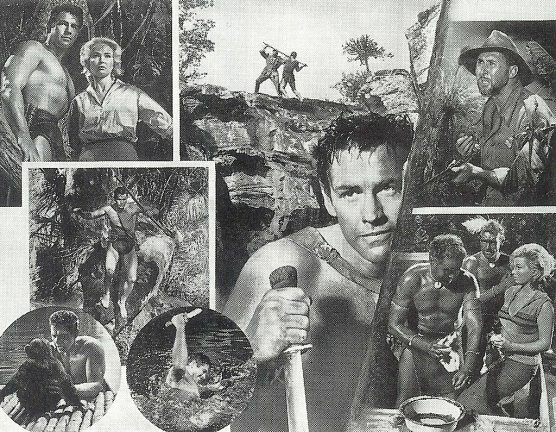 Gordon Scott was rather wooden in the role in his initial entries but has grown comfortably into the part – without the pidgin English, his Tarzan comes with a grimly determined conviction. The villains are also depicted with an unusual degree of convincingly rough-hewn complexity – Slade is one of the few villains ever created in the films that was a worthy nemesis for Tarzan. 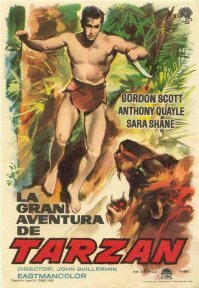 One can also note one of the early screen appearances of Sean Connery – and in a rare villainous role for him – as one of Slade’s gang who gets killed off by Tarzan. Cheetah appears only during one line ("So long, Cheetah"). 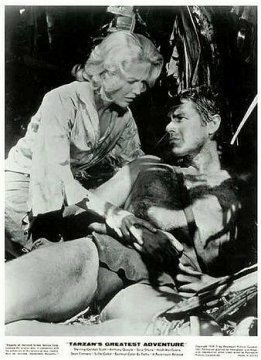 This is because the chimpanzees brought from England to Kenya for the filming were so terrified of the jungle night noises they wouldn't perform. The villains are four different British types: Slade (Anthony Quayle), Kruger (Nial McGinnis), O'Bannion (Sean Connery), and Dino (Al Mulock). When producter Sy Weintraub asked Sean Connery to appear in the next Tarzan movie, he said he couldn't because "two fellows took an option on me for some spy picture and are exercising it. But I'll be in your next." The "spy picture" was Dr. No (1962). For his part in Tarzan's Greatest Adventure, Sean Connery earned $5,600; his 'big' Bond film You Only Live Twice brought him $350,000. 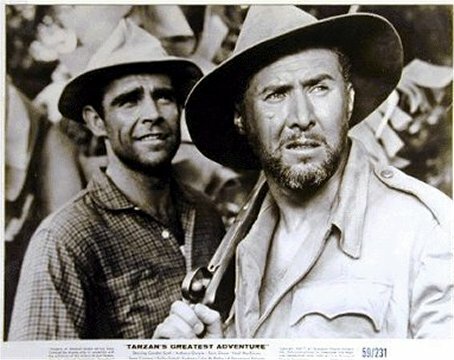 Weintraub also wanted Anthony Quayle to come back for another Tarzan movie, but Quayle had been offered a part in Lawrence of Arabia (1962) after having been seen in this film, and couldn't accept. 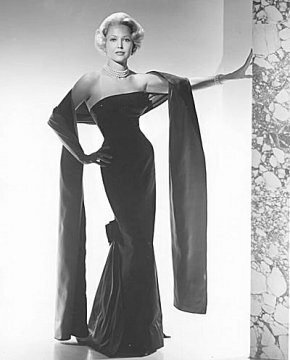 This was the first film for producer Sy Weintraub. 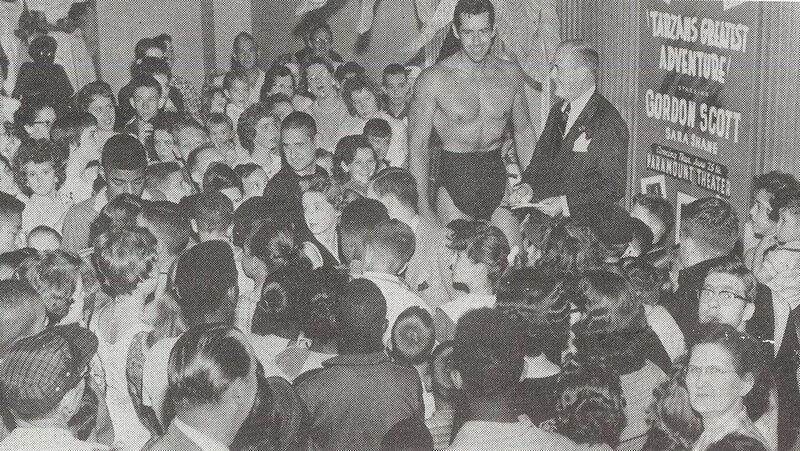 He would make Tarzan adventures, including the popular television series, throughout the 1960s. 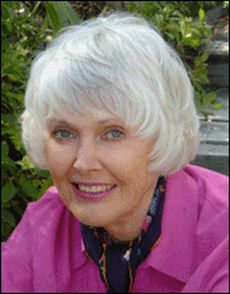 Click on the images for a larger print-out copy.